Al Lightning has installed systems on thousands of homes to UL, LPI & NFPA Standards with hundreds of "UL Master Label" Inspection Certifications & not one Inspection Deviation to Code, ever. Our company is also fully insured with auto, workers comp & commercial liability policy's. 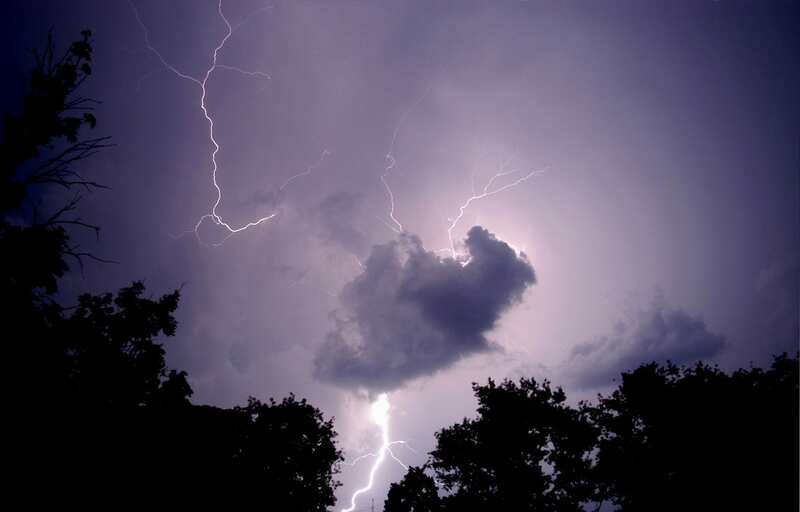 Lightning strikes are negative current or Static Electric (the same as here on earth) which forms in the clouds because of the collisions of ice & dust particles caused by strong up & down drafts. Lightning is totally different than the electric in our homes which is alternating current (negative & positive). 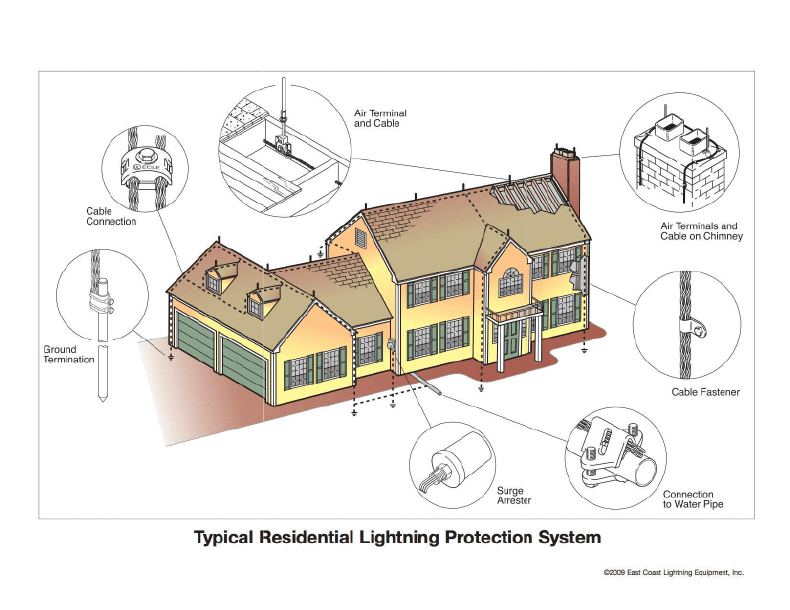 An Al Lightning, Certified Lightning Protection Institute (LPI) installer will install your system, and we never use subcontractors. Our company has seen lightning fires in homes that DID have lightning rods on the roof.... HOWEVER upon investigation, these installations did not meet any legitimate standard. If a system is installed incorrectly the home IS NOT PROTECTED. Also surge protection is required on power lines and some other lines as TV & telephone land lines. Al has a full line of UL Listed surge protectors. There is a number of manufacturers selling CSST (corrugated stainless steel tubing). Those companies have all issued "Technical Bulletins" regarding CSST" Electrical Grounding & Bonding" They each include a statement identical to the one below regarding a lightning protection system necessity. "Depending upon the conditions specific to the location of the structure in which the WARDFLEX system is being installed, including but not limited to whether or not the area is prone to lightning, the owner of the structure should consider whether or not a lightning protection system is necessary or appropriate. 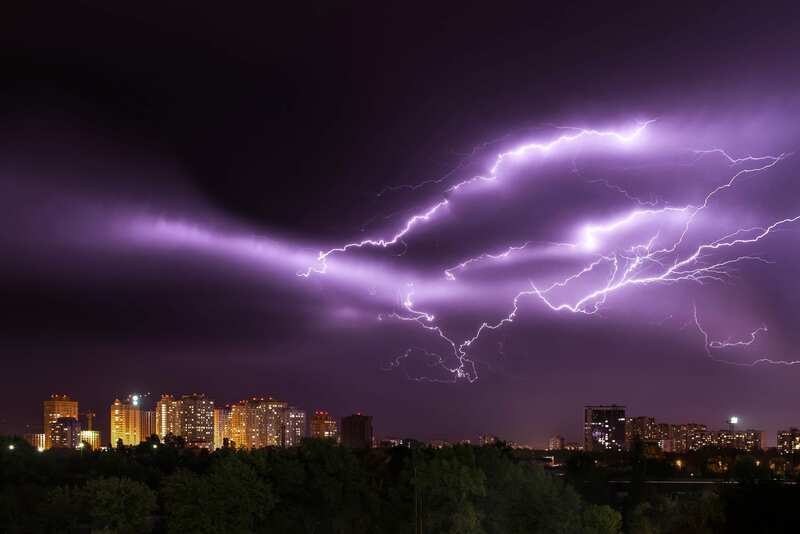 Lightning protection systems are beyond the scope of this manual, but are covered by NIPPA780 which is the Standard for the Installation of Lightning Protection System, and other standards." A CSST class action lawsuit was settled in 2007 (the settlement expired in 2008). The remedies identified by the settling parties included up to a $2000.00 voucher to install a NFPA780 Lightning Protection System with bonding & grounding to the CSST gas line piping. 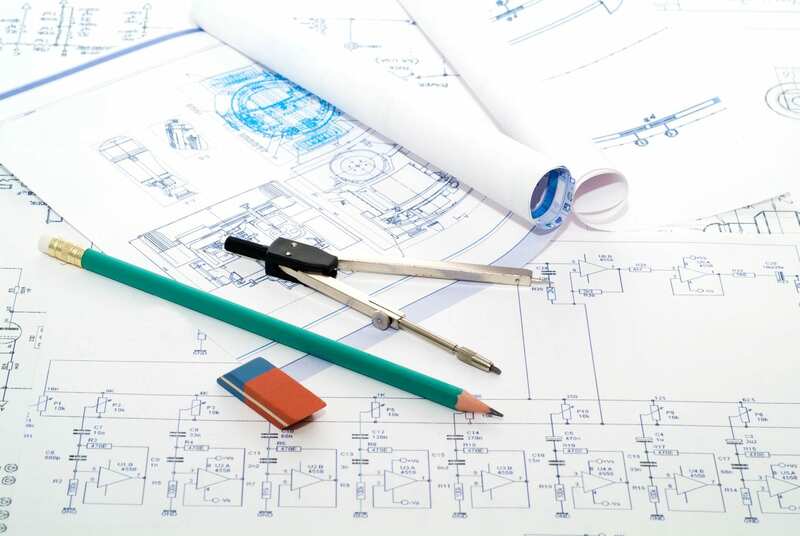 Al was the only central Florida court approved installation contractor, with over 850 systems installed under the Federal Lawsuit in The Villages, Del Webb Spruce Creek and Summer Glen subdivisions.